The National Commission for Women (NCW) has also sought an explanation from the SP leader. NCW chairperson Rekha Sharma termed Khan's alleged below-the-belt remarks against the actor as "extremely disgraceful". Azam Khan, however, claimed he made the remarks in the context of a "man". Asserting that he did not name anyone, he told ANI that he would withdraw his candidature if proven guilty. 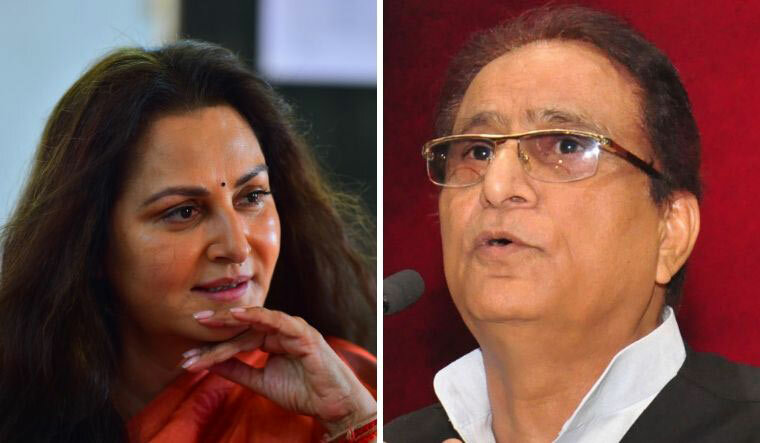 “I am not able to tolerate the language he has used against me,” Jaya Prada told reporters on Monday and urged the people to fight against him by not giving any votes in Khan’s favour in the general election. Condemning Azam Khan's comments, UP BJP spokesperson Chandra Mohan said: "Extremely disgusting and embarrassing. The level of politics cannot fall any further. This is the real face of Azam Khan and his so-called socialist party, wherein women are put down in this manner."